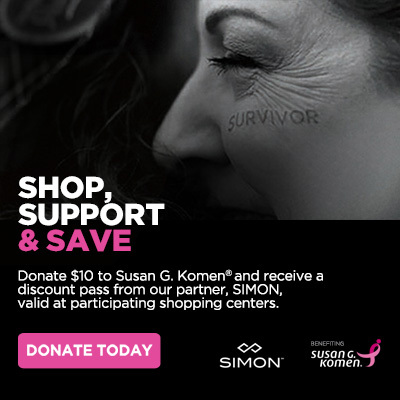 From April 14 – May 20, Simon is offering customers the opportunity to receive a discount pass valid at participating stores by making a $10 donation to Susan G. Komen®. Donate now http://bit.ly/2mCtpkV to #ShopSupportSave at St. Louis Premium Outlets. From Oct. 1, 2016 to Sept. 30, 2018, Simon is proud to support Susan G. Komen® and, with the help of generous individuals like you, will guarantee a contribution of at least $1 million for each of 2017 and 2018 in connection with its various fundraising initiatives. This year marks the 17th Anniversary of Wacoal's Fit for the Cure® program benefiting Susan G. Komen®! For every woman who gets a professional fitting at a Fit for the Cure event, Wacoal will donate $2 to Susan G. Komen® (no purchase necessary). Wacoal will also donate $2 to Komen for every Wacoal bra, shapewear item or b.tempt’d bra purchased at these events. Wacoal has guaranteed a minimum donation of $250,000 in 2017. For more information, visit http://bit.ly/2b8Yl7H%20. Take action in the fight against breast cancer by hosting a Rally for the Cure® event.  Rally for the Cure is a grassroots program that works to educate women about breast self-awareness in support of Susan G. Komen through volunteer-organized golf and tennis events. Visit www.rallyforthecure.com for more information. Bowl for the Cure is a year-round fundraising and breast cancer awareness initiative sponsored by the United States Bowling Congress (USBC). Visit www.bowlforthecure.com for more information.